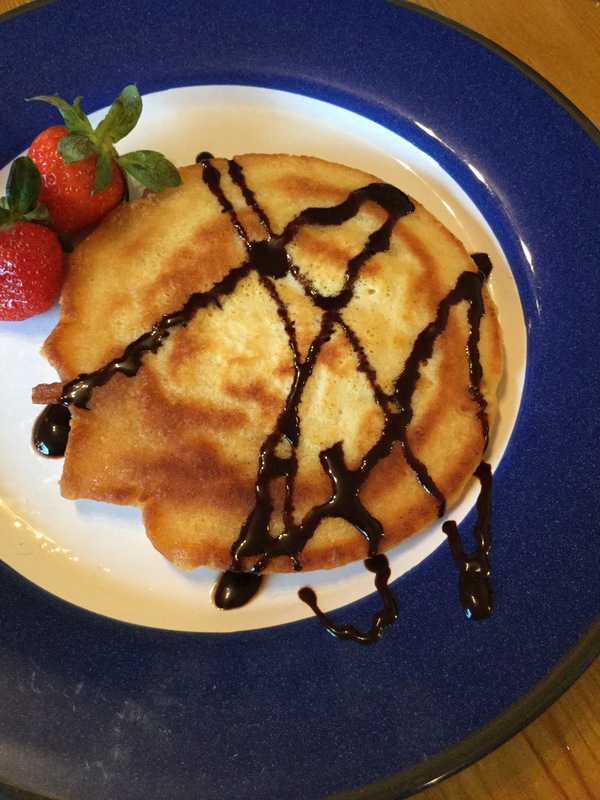 Gluten Free American Style Pancakes. Well we’ve made it to Sunday, and I was thinking as a treat this would be a great reciepe for you to try. It’s one I’ve adapted over the years, but works just as well if you use a gluten based flour (I’d use plain personally) and different milks, although I find cows milk, rice milk or coconut milk are the better varieties to use. Beat the egg and add to the milk, beat again to combine. Mix the wet and dry ingredients together to make a smooth batter. Heat the butter in a pan and pour in small amount, these batter will seem thick- don’t worry it will be fine. Smaller pancakes work better with this recipe. When the top starts to bubble, flip the pancake and cook the other side. Serve with maple syrup, or I’ve used Sweet Freedom Choc Shot it’s my new favourite find. Anything goes with pancake toppings. 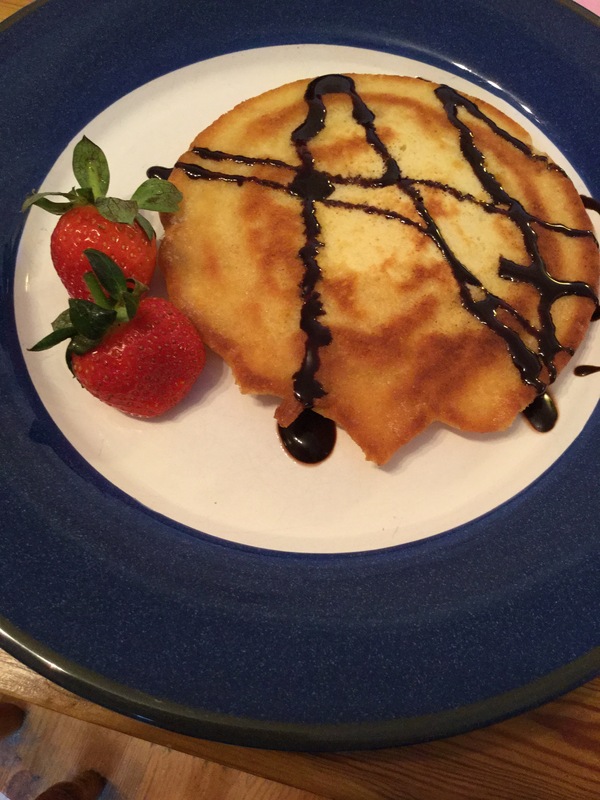 I hope you have enjoyed my breakfast week inspiration, and enjoy experimenting with different ingredients. Toast or cereals don’t always have to be your go to options. Have you tried anything different this week? Let me know in the comments below. Silly title I know, but it really is super and full of antioxidants and a great choice for National Breakfast Week. This is a quick post today as I’m in the midst of funeral organising sadly, but never the less I still wanted to share this with you all. Honey or agave to sweeten. Blitz for 45 seconds and serve. I should add you can use ice cubes as well if you like your drinks that bit cooler in the mornings. Yes you all read that right chocolate porridge. 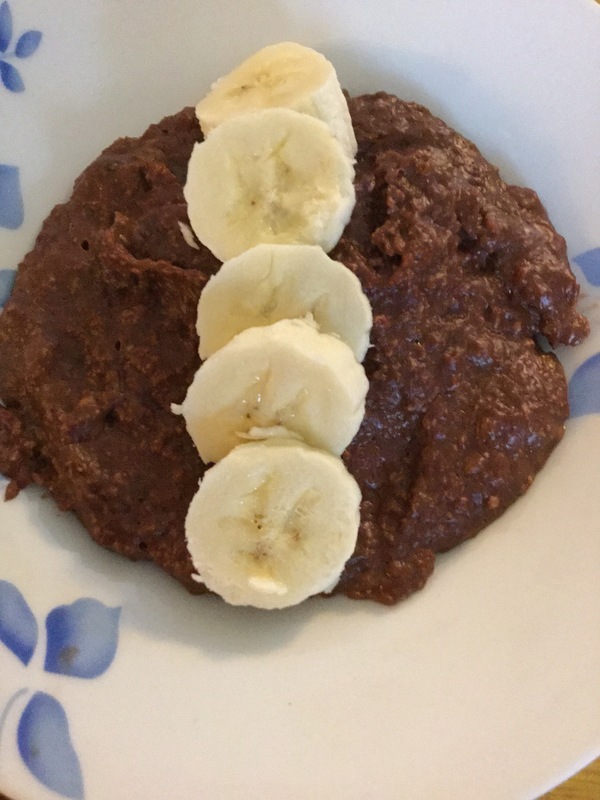 So we can’t have Nutella in this house and coco pops (in my opinion are horrid and not suitable for for coeliacs) so it got me thinking, what do I make for that odd occasion I fancy a chocolate themed breakfast- chocolate porridge is the answer. It’s rich, creamy, and can be adapted to suit a variety of diets. gluten free? Use gluten free oats. dairy free? Use a plant based milk the list goes on. I find it perfect for wen you need a chocolate fix, the other bonus is its low GI and keeps you full until lunch. Toppings of cocao nibs, fruit, coconut whatever flavours you prefer. When the mixture starts to thicken add the sweetener and cocoa powder and stir in well. Serve and top with your favoured toppings- today for me it was banana. 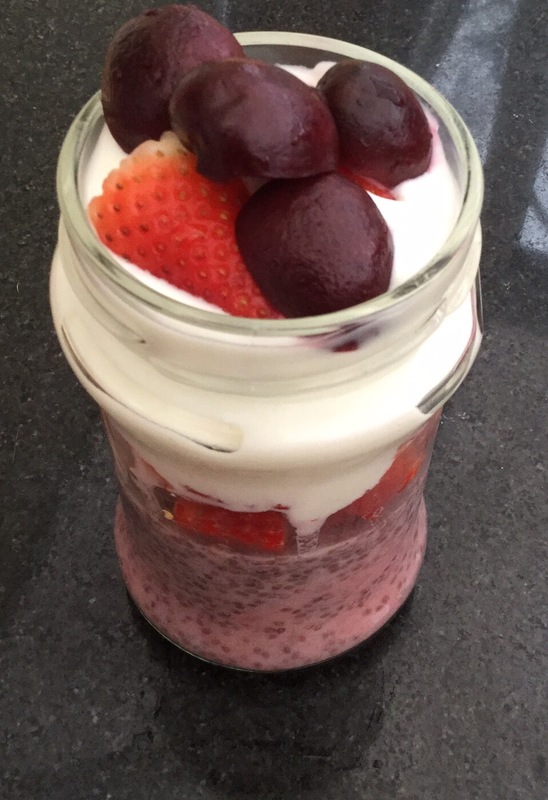 I hope you enjoy it, it’s just another idea for you to mix up your breakfasts in honour of National Breakfast Week. The truth is ( and I confess) I like a bargin, Waitrose had huge bags of kale for £1 so I bought one. Now kale is great in smoothies (operation wedding dress is thankful) but there are only so many green smoothies you can have. My inspiration came from this kale and incorporating it into a healthy, tasty meal. I thought of a curry, off the shelf are usually bland and carry the dreaded “may contain nuts ” warning, I know I know don’t get me started. So here is my take on a healthy gluten, nut, dairy, vegan (I think) paleo-ish dish. 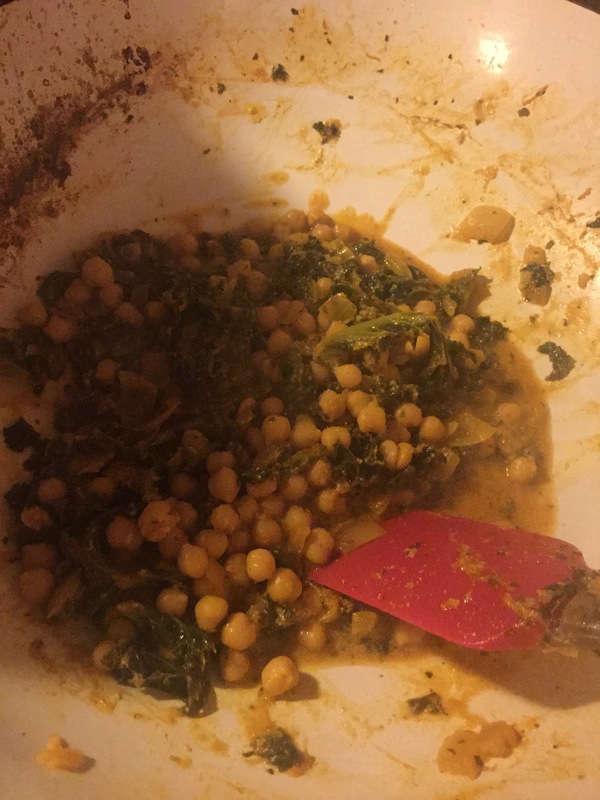 Add the kale, chick peas, coconut milk and stock cube and bring to the boil. Turn the heat down and once simmering has subsided stir in the mango and yogurt. Do not boil again once yogurt has been added. Serve with rice, or as a side dish to accompany your main curry dishes. What are your favourite curry dishes? Let me know in the comments section below. 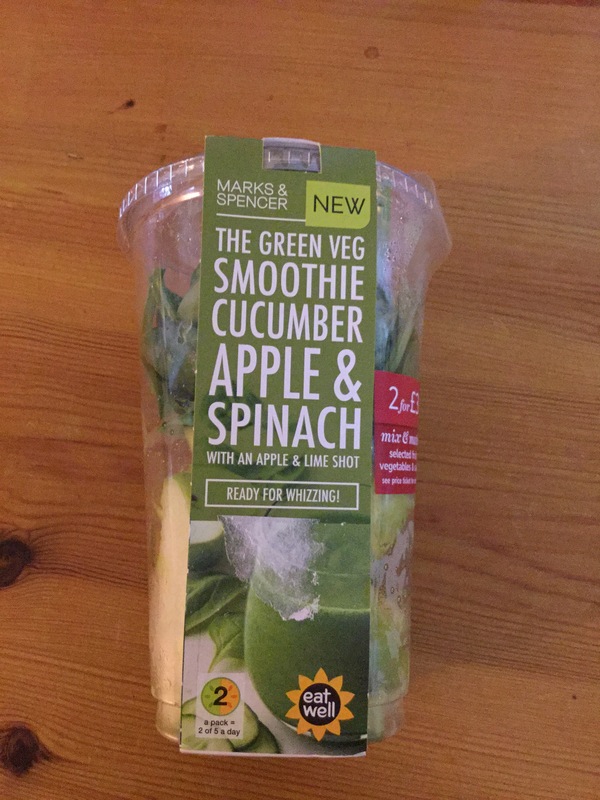 I spotted these new pots the other day when pottering through my local M&S, “why not” I thought to myself, I like a gimmick, and let’s face it, a premade (almost) smoothie is a gimmick for the January health conscious. If I’m honest it’s an expensive way to make a smoothie £2 if not bought in the 2 for £3 offer but it’s easy and convenient which I’m sure some people love. So making it is easy, tip Into your blender pour in the lime shot and add 150 mls of water. I was a rebel and changed the water for coconut milk ( I know you are all shocked aren’t you?) Blend then serve in a glass. I should add I think the colour is great, green and fresh looking and very inviting. So how does it taste? I liked it, although my first couple of Sips tasted of cucumber which felt odd at 8am, but a good stir seemed to rectify this. 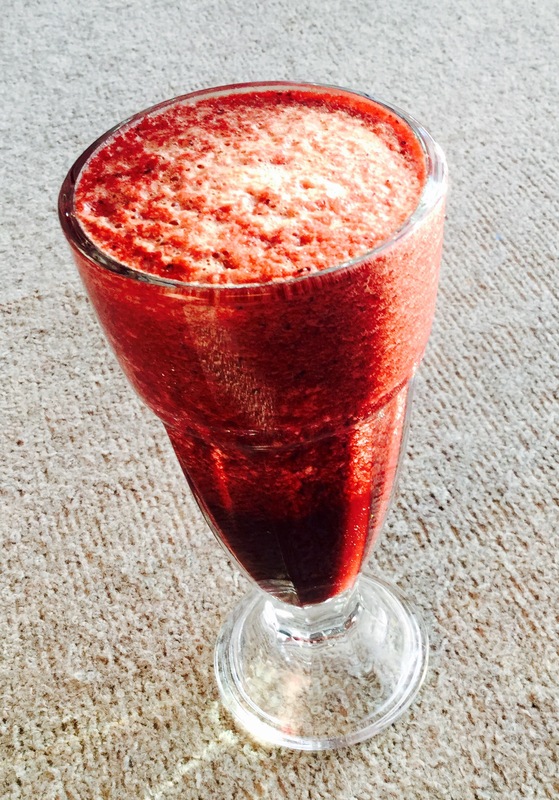 Its also lower in sugar than a lot of smoothie recipes which is always a bonus and I think it’s a good pre of post workout smoothie. Would I buy it again? Quite possibly not, just because I usually have the ingredients in my stocks, but I will be trying out this smoothie ingredient combination in the future. Do you have any smoothie favourites? Let me know in the comments box. 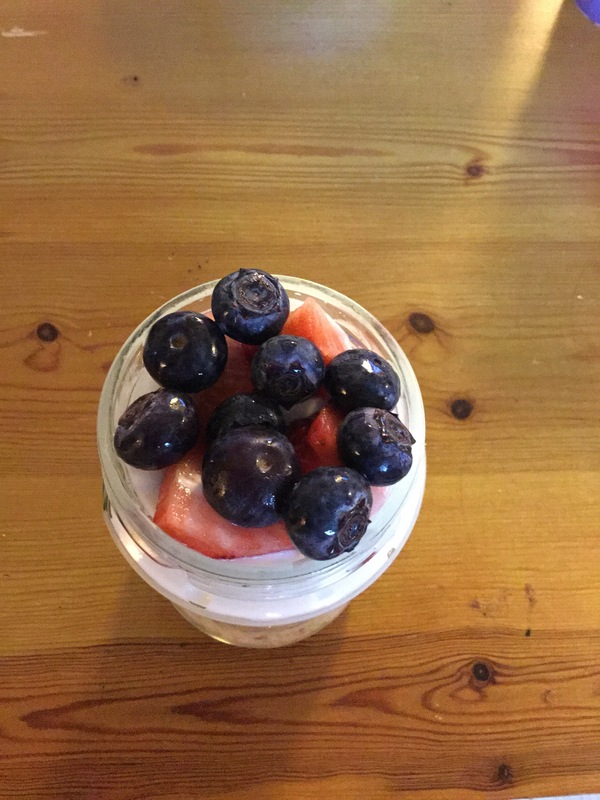 Now I know there’s a fair few Bircher breakfast recipes out there, and overnight oats are a bit of a buzz word, but bear with me this can give you a few more precious minutes in a morning (bonus), they are healthy and can also be adapted to be vegan, dairy free, gluten free, paleo and nut free so win win all round. The best thing is there’s no cooking involved, it’s super easy and tastes delicious. 40 g rolled oats- don’t use quick oats it doesn’t work. Jumbo rolled oats work best, but it makes no difference if they are gluten free or not, it’s whichever suits your diet. 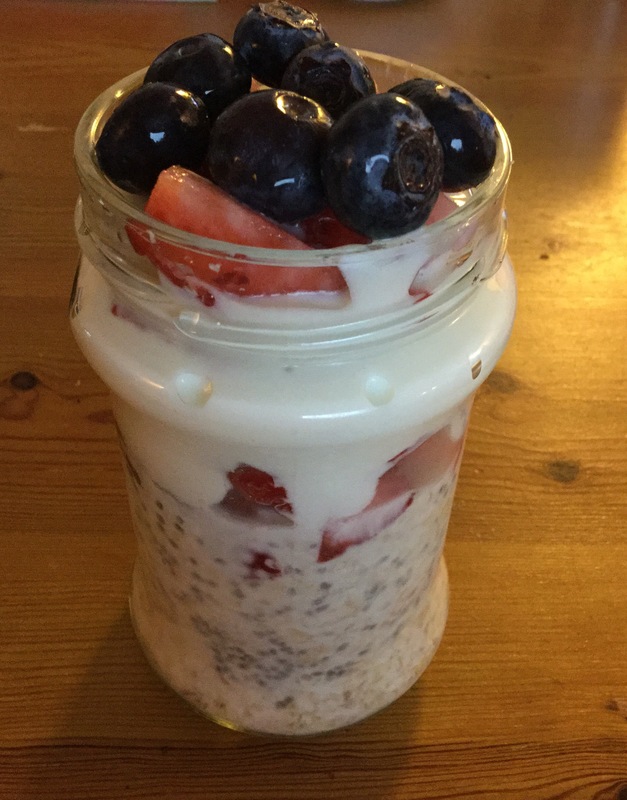 The oats absorb the liquid, the seeds make them lovely and creamy and are so so good for you. Top with your favourite fruit again. Have as a breakfast to go or with your well earned morning coffee. 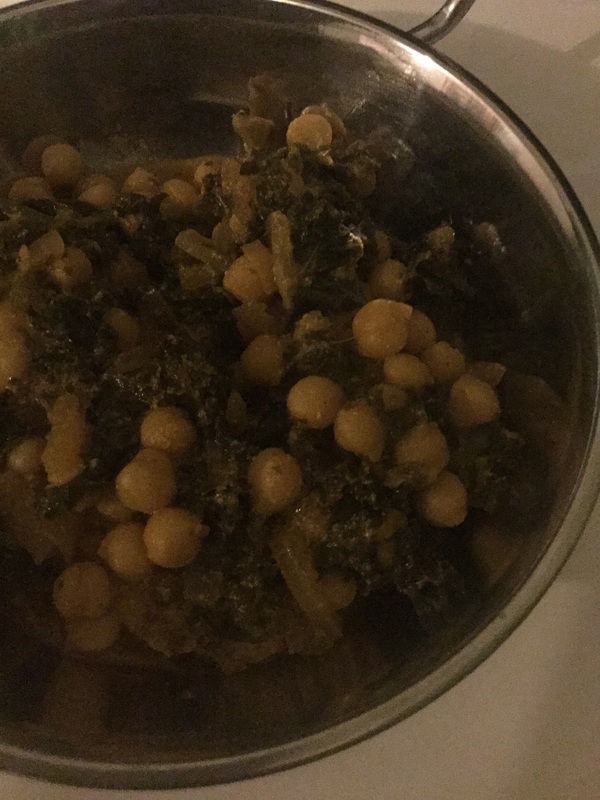 Having been in discussions of lunch ideas and different things for people with multiple allergies I decided to blog this recipe. 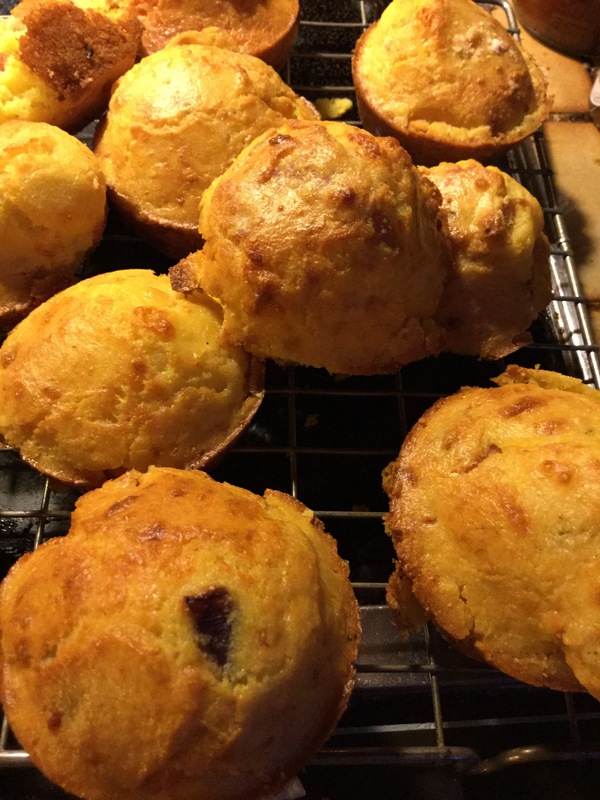 The beauty of these muffins is that the flavours can be changed to suit your taste. They can be frozen, and are perfect for lunch boxes of big and little boys and girls, or instead of a bread roll with soups and salads. In a bowl add the polenta, flour and baking powder and mix together. Stir in the bacon and grate in the cheese. In a jug pour the milk, add the eggs and oil then beat until combined. I should add if you need dairy free then rice milk works well here. Nut based milks have a funny taste with the polenta in my opinion. Add the wet to the dry ingredients and mix until just combined. Put into a 12 hole muffin tray. 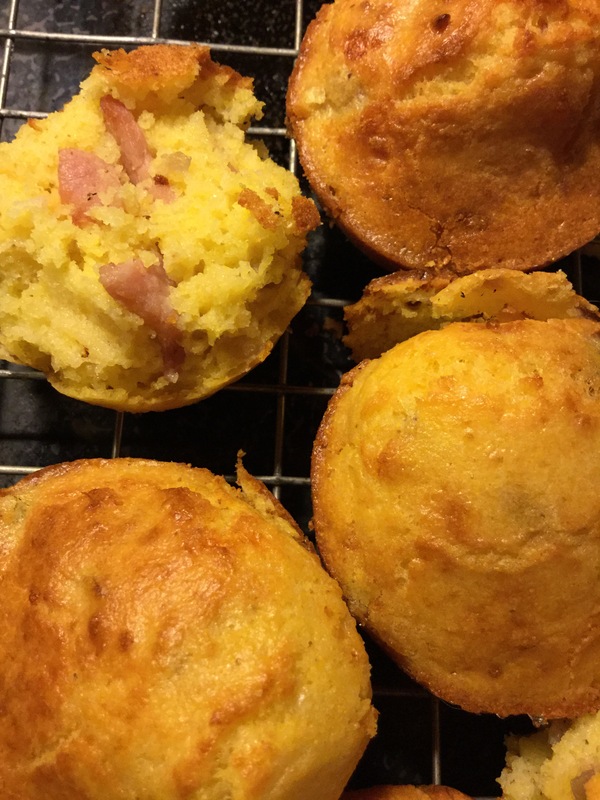 My tip us to use muffin cases as then you won’t encounter and sticking issues- can you tell I speak from experience? Cook on the centre shelf for about 20 minutes when the muffins should be risen and golden. If you don’t use liners run a knife round the edge of the muffins to get then out easier. You can experiment with flavours, sun dried tomatoes, ham, chives, olives and asparagus all work well. The main thing is lunch boxes will never be boring again. What are your favourite flavour combinations? Let me know in the comments below. I know it’s veganuary and I’ve been experimenting with some veg based dishes but I thought you may want to know about these delicious morsels. My toddler, like many I assume, loves the odd beans, chips and …..(fill in the processed crap option here). 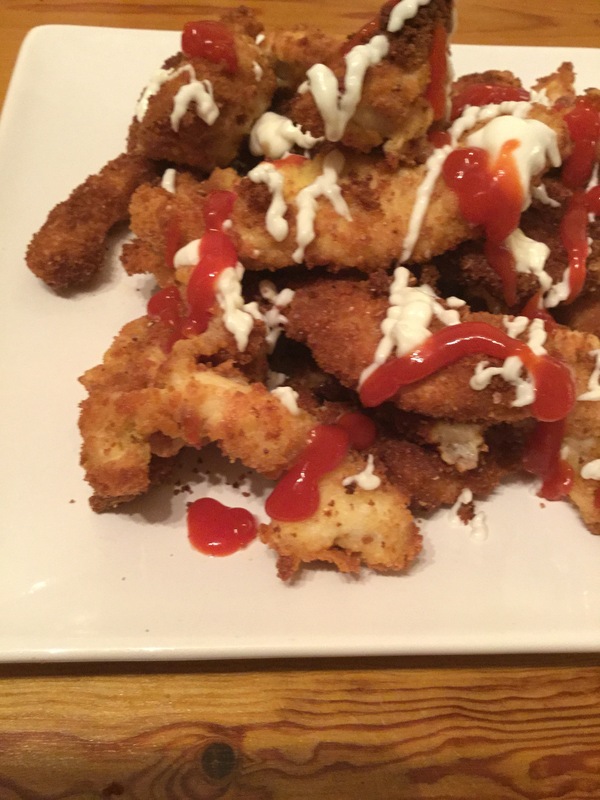 Now, and I’m not being precious about this, I would rather make her these Goujons than buy turkey twizzlers. ( if you do that I’m by no means having my judging pants on) I just thought I’d put this recipe up to show how easy they are to make. It also means I can make a gluten free, nut free, dairy free option easily. To make the bread crumbs I toast the bread on a low heat then process into crumbs. Turn this into a shallow dish. In turn place a strip in the flour, then egg then breadcrumbs. Drizzling in oil (I use olive oil) I not stingy on it either. 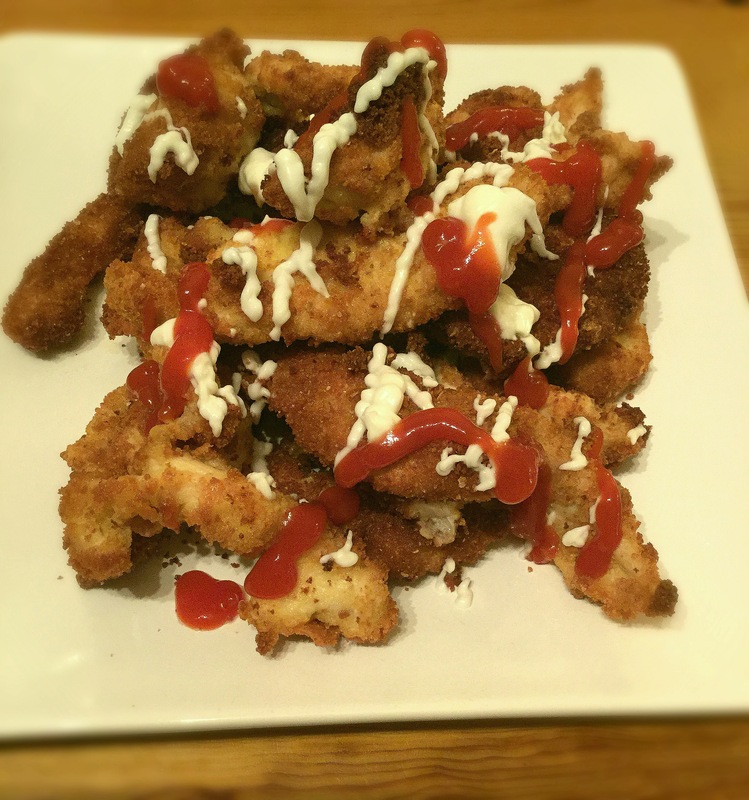 So there you have it a quick, easy recipe for chicken Goujons that are much healthier than their freezer department counterparts. I should add you can make fish fingers the same way. Have you tried any variations to this? Let me know in the comments below. So back to work we all trudge, (I’m not complaining I love my job and blog) The weather is rubbish and we are in that post Christmas slump. I’m sorry for those who have started diets etc but I thought this classic recipe would cheer you all up on these gloomy days. You can’t beat a classic cake and this is no different. It’s also easy to tweak to make gluten free, nut free and dairy free, hell you can even do refined sugar free if you want. I didn’t today, the decorations have come down, mini me was having a diva strop to end all strops ( the Christmas tree had left the building) and I needed the energy. The basic recipe is fairly straight forward and can be adapted to various flavours with ease. Cream together the butter and sugar until light and fluffy, I use my ken wood but you can use a hand mix or food processor. Sift in the flour, corn flour and xanthan gum and then fold in. Split between 2 cake tins and cook for about 20-25 minutes until the top springs back or a skewer comes out clean. Leave to cool completely before adding the jam and cream to the centre. I put some halved strawberries in as well but this is optional. Sprinkle the top of the cake with icing sugar- it’s not vital but looks pretty. So there you have it, if you try then let me know how you get on, or what variations you enjoy the best in the comments below.